What is the cheapest way to get from Chamonix to Ivrea? The cheapest way to get from Chamonix to Ivrea is to bus which costs 6€ - 10€ and takes 3h 37m. What is the fastest way to get from Chamonix to Ivrea? The quickest way to get from Chamonix to Ivrea is to drive which costs 17€ - 26€ and takes 1h 36m. Is there a direct bus between Chamonix and Ivrea? No, there is no direct bus from Chamonix to Ivrea. 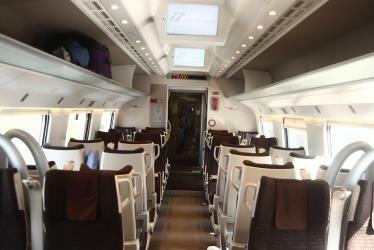 However, there are services departing from Chamonix-Mont-Blanc and arriving at Ivrea Corso Nigra via Aosta. The journey, including transfers, takes approximately 3h 37m. How far is it from Chamonix to Ivrea? The distance between Chamonix and Ivrea is 93 km. The road distance is 134 km. How do I travel from Chamonix to Ivrea without a car? The best way to get from Chamonix to Ivrea without a car is to bus and train which takes 2h 57m and costs 6€ - 16€. How long does it take to get from Chamonix to Ivrea? It takes approximately 2h 57m to get from Chamonix to Ivrea, including transfers. 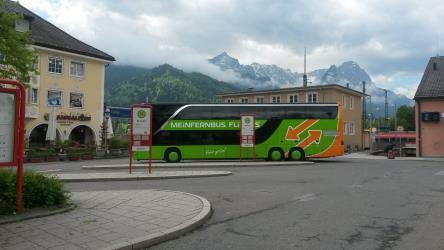 Where do I catch the Chamonix to Ivrea bus from? 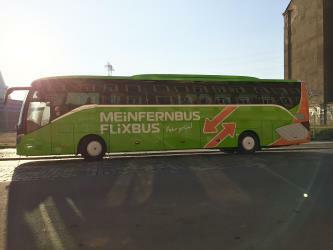 Chamonix to Ivrea bus services, operated by FlixBus, depart from Chamonix-Mont-Blanc station. 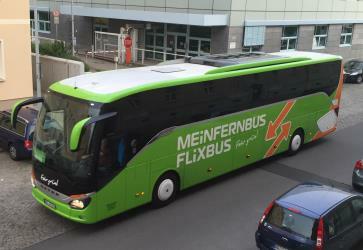 Where does the Chamonix to Ivrea bus arrive? Chamonix to Ivrea bus services, operated by Lirosi Linee, arrive at Ivrea Corso Nigra station. Can I drive from Chamonix to Ivrea? Yes, the driving distance between Chamonix to Ivrea is 134 km. It takes approximately 1h 36m to drive from Chamonix to Ivrea. Where can I stay near Ivrea? There are 347+ hotels available in Ivrea. Prices start at 45€ per night. 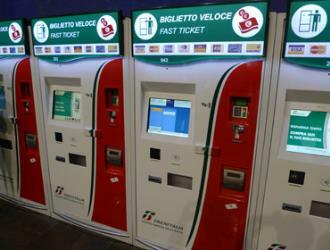 What companies run services between Chamonix, France and Ivrea, Italy? You can take a bus from Chamonix to Ivrea via Aosta and Aosta in around 3h 37m. Lago di Viverone (in Piedmontese Lagh ëd Vivron) is a lake in northern Italy. Named after the town of Viverone, lies at 230 m AMSL between the districts of Biella, Vercelli and Ivrea in the area of morainic hills known as Serra. It has an area of about 6 km2 and a maximum depth of 70 m, and a perimeter of about 10.5 km. The lake is 3,500 m long and 2,600 m wide. The southern and western parts of the lake are rich in vegetation while the north part is built-up and includes hotels, camping sites and beaches. The Sanctuary of Oropa (Italian: santuario di Oropa), is a group of Roman Catholic buildings and structures in the municipality of Biella, Italy. It is located at a height of 1,159 metres in a small valley of the Alpi Biellesi. Fort Bard, also known as Bard Fort (Italian: Forte di Bard; French: Fort de Bard), is a fortified complex built in the 19th century by the House of Savoy on a rocky prominence above Bard, a town and comune in the Aosta Valley region of northwestern Italy. San Giorgio Canavese is a town and comune in the Metropolitan City of Turin in the region of Piedmont, northern Italy. Rome2rio makes travelling from Chamonix to Ivrea easy. Rome2rio is a door-to-door travel information and booking engine, helping you get to and from any location in the world. Find all the transport options for your trip from Chamonix to Ivrea right here. Rome2rio displays up to date schedules, route maps, journey times and estimated fares from relevant transport operators, ensuring you can make an informed decision about which option will suit you best. Rome2rio also offers online bookings for selected operators, making reservations easy and straightforward.